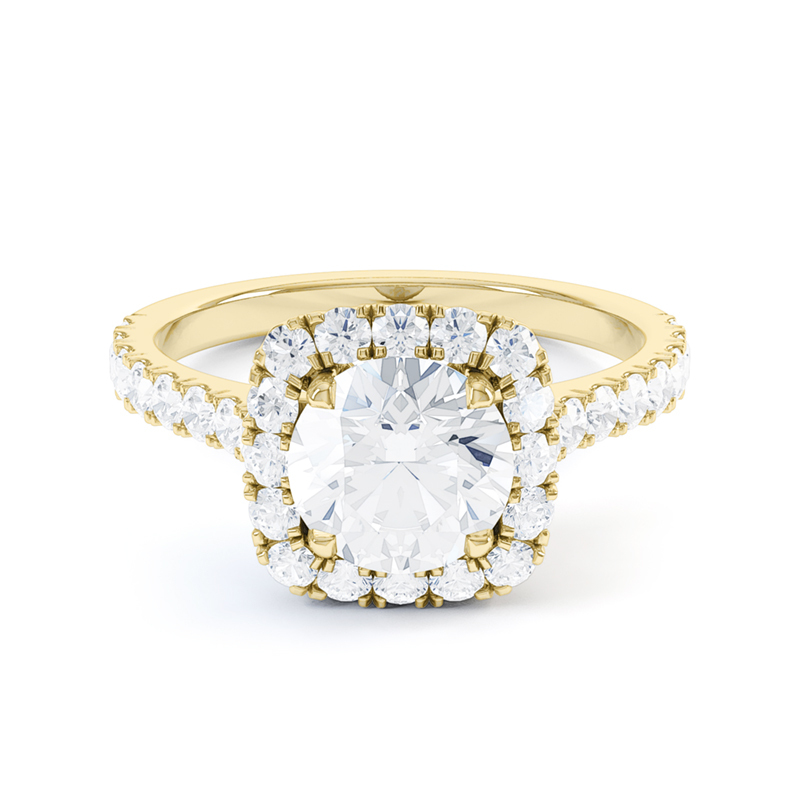 Pairing the brilliance of a Round with the contemporary style of a cushion cut. Influenced by the Classic Oberon engagement ring, the Classic Kelly offers a cushion cut style halo with round brilliant centre diamond. The fire, life and brilliance of a round brilliant cut is incomparable, while the squared look of the halo brings a contemporary spin to the design. 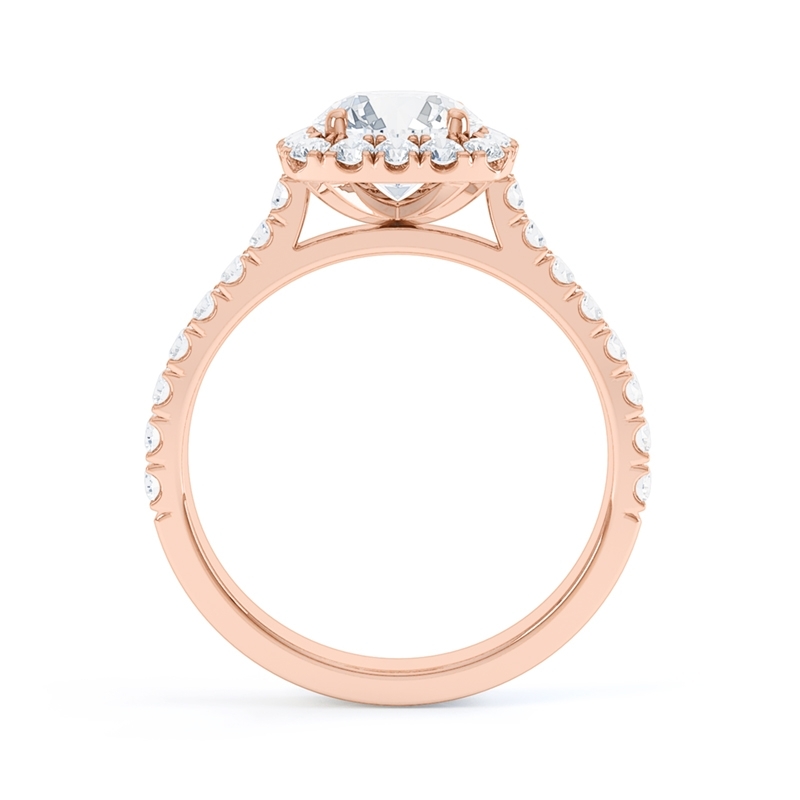 With centre diamonds available from 0.30ct, the Classic Kelly engagement ring is available in Platinum, 18ct Yellow Gold, 18ct Rose Gold & 18ct White Gold. All Queensmith engagement rings are expertly handcrafted onsite, using only the finest GIA certified diamonds. Every ring is made-to-order in our Hatton Garden workshop and can be tailored to your preference.